We hope that you will find this section of our website helpful in this difficult time. If you are looking for information on what to do now, you have come to the right place. As always, if you would prefer to speak to someone directly please give us a call at 604-898-5121. What to do first depends on the circumstances of the death. When someone dies in a hospital or similar care facility, the staff will usually take care of some arrangements such as contacting the funeral home you choose, and if necessary, arranging an autopsy. Where a death has been anticipated, call your attending physician. If the death is unexpected, call emergency services first. If you are uncertain about the surroundings of the death, please contact your local coroners office. Call the Funeral Home? If you are responsible for making the funeral arrangements or executing the will please call us if you would like us to be the Funeral Home to take care of your loved one. We operate 24/7 so we can be there an hour after the death occurs. Appoint either a family member or friend to notify others. This doesn't need to be right away but it does ease the burden on you of spreading the news to everyone. Don't forget to call the Employer: Was your loved one employed? You will need to call his or her employer to let them know of their passing. At some later point (after the service) you should ask about the deceased's benefits and any pay which is owed to them. Also ask if you or dependents are still eligible for benefit coverage though the company. Ask whether there is a life insurance policy though the employer. Call the Life Insurance Company: If your loved one had a life insurance policy, locate the related paperwork. Call the agent or the company and ask how to file a claim. 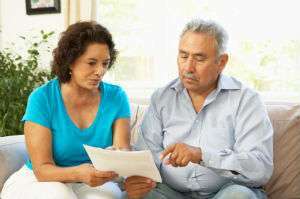 Usually the beneficiary must complete the claim forms and related paperwork. You'll need to submit a certified copy of the death certificate and a claimant's statement to establish proof of claim. Remember to ask about payment options. You have a choice of receiving a lump sum, and having the insurance company place the money in an interest-bearing account from which you can write checks. Transporting the body of your loved one. Discussing the Disposition of your loved one. Arranging a Funeral, Celebration of Life, or Memorial. Selecting a Casket, Urn, or Cemetery Marker. Preparing and publishing the obituary. Helping to notify the deceased's employer, attorney, insurance company and banks.